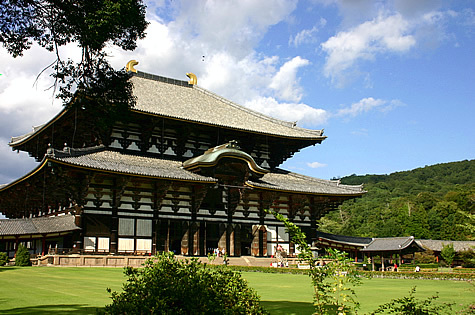 The Great Music Experience was a concert starring Japanese and international musicians staged at the eighth century Buddhist temple of Tōdai-ji, in Nara, Japanin May 1994. The concert, held over three nights (May 20 – May 22) and partly backed by UNESCO, took place in front of the world’s largest wooden building, housing the largest Buddha statue in the world. 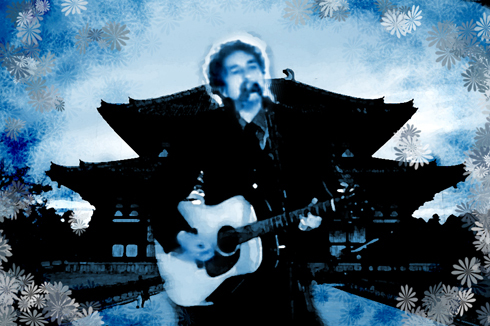 1–3 Bob Dylan (guitar & vocal) backed by Phil Palmer (guitar), ”Wix” Vickens (keyboards), Pino Palladino (bass), Jim Keltner (drums) and The Tokyo New Philharmonic Orchestra conducted by Michael Kamen. 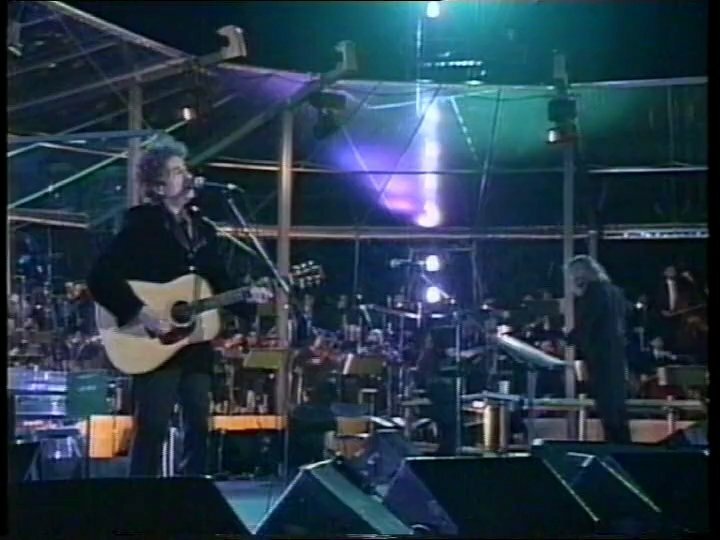 4 Bob Dylan (guitar & shared lead vocal) in the grand finale with all participating artists, among them Joni Mitchell, Jon Bon Jovi, Richie Sambora, Ry Cooder, Roger Taylor and the members of INXS and X Japan. 1–3 broadcast in the radio and TV program THE GREAT MUSIC EXPERIENCE COUNTDOWN, 22 May 1994 in over 50 countries all over the world. 4 broadcast in the radio and TV program THE GREAT MUSIC EXPERIENCE COUNTDOWN, 29 May 1994 on BBC in the UK. Bravo the best ever ty so very much for sharing . You made my day glorious. Riveting. Hard Rain! My coffee cup was empty but I was unable to rise from my chair and travel 12 feet for a refill until that song ended. Has given me real joy to see this tonight. Thank you. Such tension! Such release! Kabuki faces in the background, and a big gold god. Hard Rain hurts, more than ever. That was fantastic. Ring them bells was so beautiful. Wow what a great video. it actually works. Bob has a great ear. Top notch set list too. Thanks!